How low can these coins go? I’ve already forecasted some targets for this week and going into early next week, but let’s see how low we can go. Brace yourself. Litecoin, to me, provides the cleanest and most apparent looking move and how far it would go. 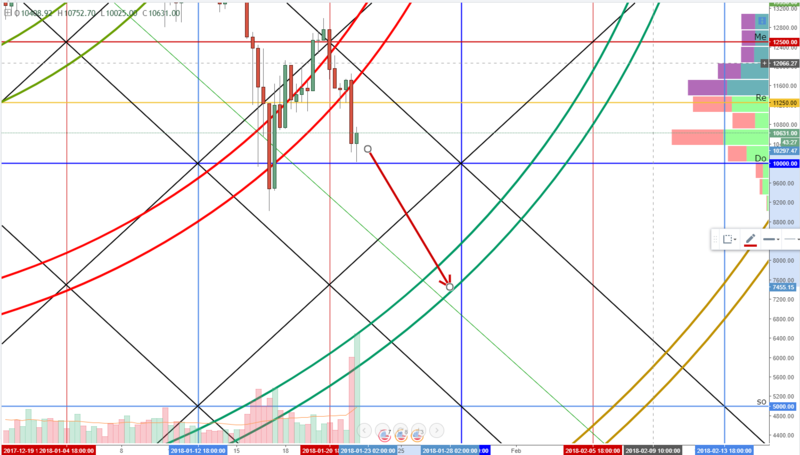 Litecoin is still in its arc and has been following it for over a month. It has been stuck inside of that arc and has failed to have any conviction to leave it. Since it has been following the arc for so long, we can continue to believe that it will. That arc ends in price and time an $80. Litecoin has traded as high as $420. Getting to $80 is an 81% retracement. 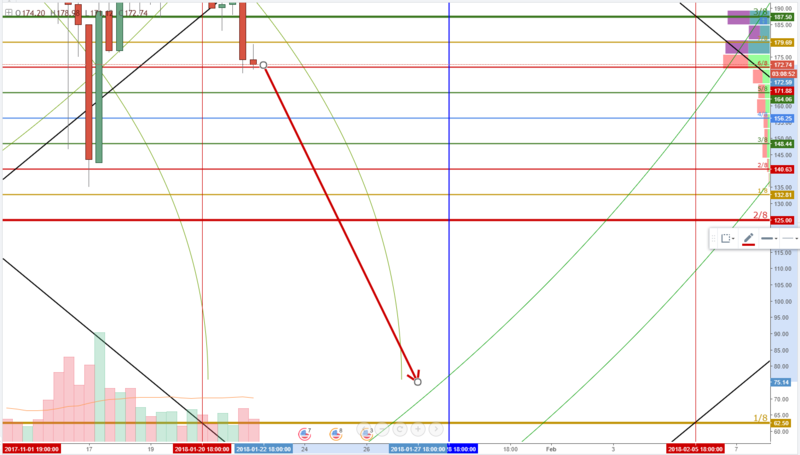 In reality, we may not find support until we enter the support arc and 1/8 harmonic at $62.5. If we get to $62.5, we have completed am 85% retracement from the all-time high. Out of all three coins here, Ethereum has the least threat of downside pressure. It still has a lot of downside pressure, but it’s not as powerful. Failure to hold above and trade above the $1000 area means we have a nice bias and move lower towards the $750 area. $750 is the next greatest move for price to hit for a reversal. We would have significant momentum lower when we break the arc below where price is at currently, especially at the $940 level. The true ugly chart here is Bitcoin. It is at the most precarious position it has ever been at. The 10k level is like the new zero line. It is the greatest area of support beyond… well… zero. 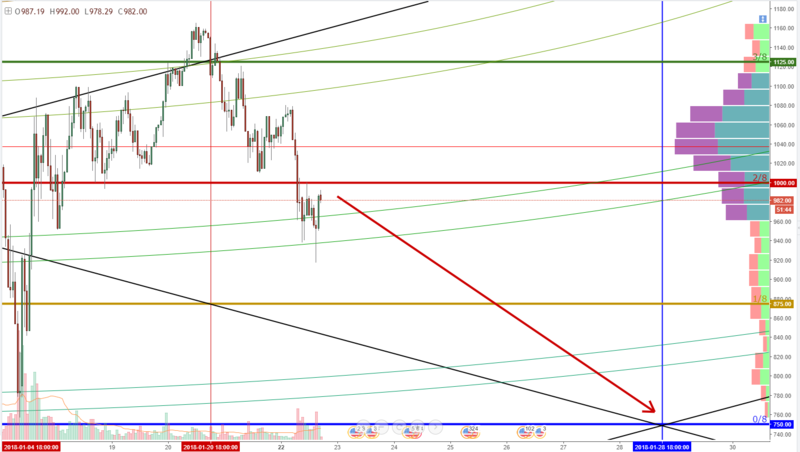 If price can not hold above 10k and does not have significant support to the top of the 10k value area, we can see Bitcoin swiftly and violently move to the 7500 – 7000 value area. Only then do we see some supportive buying. At that value area (7500-7000) we enter a resistance arc, a new time cycle, our 45-degree square and a natural midway between 10000 and 5000. Personally, I would love to buy down there, but we need a huge break on monster volume for that to happen.